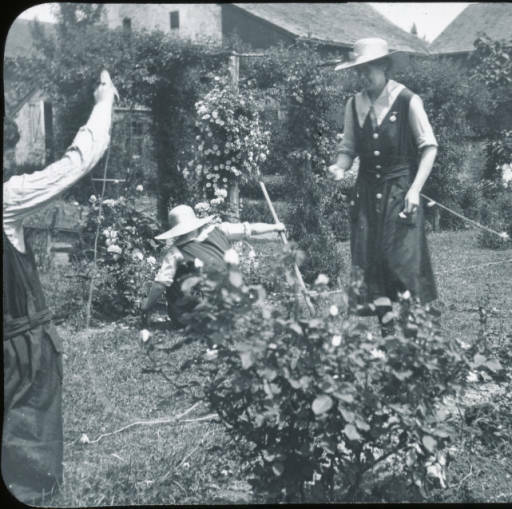 Located on a 187-acre field in the suburban Pennsylvania town of Ambler, The Pennsylvania School of Horticulture for Women was founded in 1911 by Jane Bowne Haines as one of the first horticultural schools for women in the United States. The school provided a unique opportunity for women not only to become educated generally but to enter a field dominated by men. After more than forty-five years as an independent institution, the school merged with Temple University in 1958, and became the Temple University Ambler Campus. A deeper history of the school can be found on the Ambler Campus website. 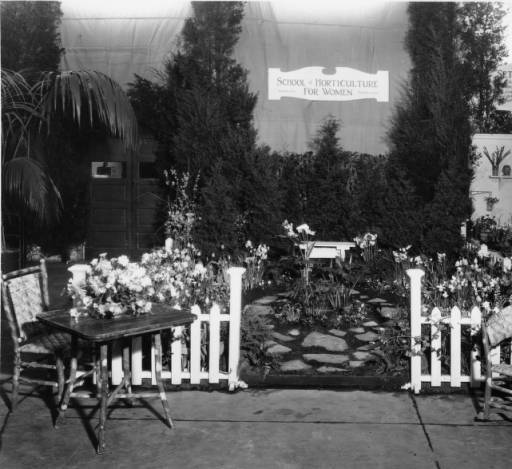 The Pennsylvania School of Horticulture for Women Records contain of a wealth of photographs and materials documenting the history of the school. The photographs trace the students’ lives on campus through images of activities, dances, clubs, and their work in the fields, gardens, greenhouses, and classrooms. Through these photographs, you see the changes in uniform, social dress codes, campus buildings, the variety of clubs, and even social expectations of women. One aspect that does not change is the labor requirement. 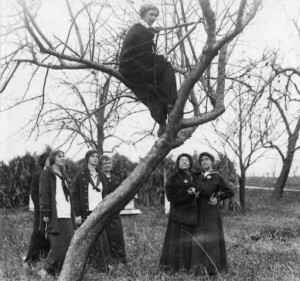 From the very beginning, students were expected to climb trees, drive tractors, harvest the fields, and care for the animals, often in very impractical clothing. In addition to the photographs, which have all been digitized, the files contain administration records, printed materials, including several publications published by the school (Pen & Trowel and Wise Acres, along with a variety of alumni publications), ephemera relating to campus activities and festivals, correspondence, student records, and landscape design drawings. The archives also includes some photographs and other materials relating to the school’s participation in the Philadelphia Flower Show.